Show Your People You Value Them! Getting to know what your people can do, what they have done in previous roles, and what they do better than anyone else is important. To build strong, trusting relationships and show how much you value your people, get to know who they are – not just what they’ve done. Understand their life outside of work. Seek to build a better relationship by developing a genuine interest in who they are as people and what they are passionate about. Check in regularly on topics that aren’t related to work. 2. Provide regular, constructive feedback. To help your people be the best they can be, get in the habit of providing feedback – regularly. Your people will become even more valuable to you when they are constantly refining, improving, and building new skills. Feedback is the fuel to enable that kind of performance improvement. Don’t wait for the annual review to tell them how they are doing. Know what they need to succeed and give them the time and resources they need to do it. Understand the learning opportunities provided by your talent development team and encourage your people to go. And if the learning program they need (in order to be able to deliver great value) doesn’t exist inside your company, be willing to fund external training. 4. Prepare to lose them. Although it’s hard to get new people up to speed, and no leader wants to lose his/her best people, preparing your employees to succeed in their career is essential. Helping them advance – even when it means they leave your team to move to another part of the organization – is the sign of a great leader. Like a parent who knows their kids will leave the nest someday, prepare for your people’s departure. It shows your commitment to them and to your company because you’re doing the right thing for both, even if it eventually creates an open req. The risk of losing a star employee is worth the payoff of working with the best in the business, even if they don’t stay forever. 5. Set clear, measurable expectations. For your people to succeed, they need a clear understanding of what you need them to do and how success will be measured. And in the dynamic world of work, that means providing regular updates. An annual conversation about performance and planning won’t suffice. 6. Make time for them. You are busy. And maybe you manage a very large group. That makes it hard for you to devote time to each individual. Yet it’s essential for them to know that you have their back. If you think group team meetings are enough, you’re missing out on building deep relationships with your people. 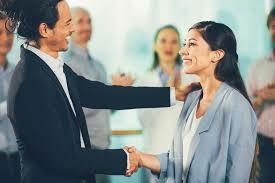 Take time to meet with them individually as often as possible and be fully attentive when you do so. Sure, you likely praise your people’s accomplishments during your one-on-ones. To deliver even greater value, acknowledge them in meetings in front of their peers, and in front of senior leaders they are looking to impress. This shows your true commitment to not just your employees but also to other important constituencies. 8. Say the tough stuff. The item above makes sense and can be fun, but the flip side – delivering the really tough information – can be a challenge. Nonetheless, it’s one of the most valuable things you can do for your people. You need to tell them when they have a behavior that will limit their career advancement, or what the consequences will be if they don’t resolve a major issue – which can include their EQ skills or even their grooming. 9. Give them an opportunity to use their superpowers. I'm a seasoned Operations and Client Services Leader with 13+ years of experience. I'm expert in business communications, operational management, BPO, Print Media & Accountancy industry, and product and process design. Now, at QX Ltd, I lead and handle clients and manage over 200 FTE's. Liaise for VPs & AVPs and report directly to the Director. Other expertise includes online servicing, providing real time solutions to clients in various parts of the globe. --I've been directing development of my people, in any organization I have been into. --I am a multi-linguist of technology-driven business. I speak fluent geek, marketer, editor, designer, trainer, salesperson, and difficult boss. Understanding means fewer missteps, and missteps cost a fortune. --I have almost been a TEDx speaker. --I don't care who gets credit, but majority of the times I do. I just want to win. --Lots of people have Big ideas. Execution is what matters, and I do execution. --If my left and right brain were hands, I'd be ambidextrous.